Hudson's Bay has a Deal of the Day offer everyday! 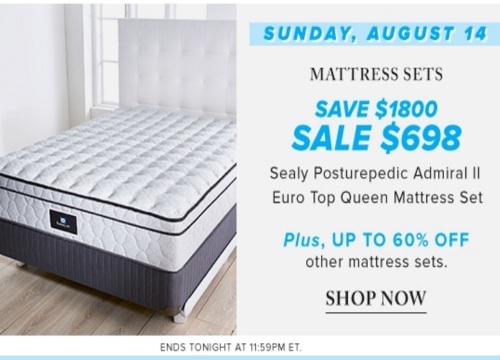 Today's deal is $1800 off Sealy Posturepedic Admiral II Euro Top Queen Mattress Set plus up to 60% off other mattress sets. Offer ends tonight, Sunday, August 14 at 11:59pm ET.